In an interview with Rolling Stone, Johnny Depp has revealed most of his money is gone from supporting his family. Johnny Depp made $650-million dollars from films and almost all of it is gone, spent on supporting his family and his own extravagant lifestyle. But he also claims his managers mismanaged and misappropriated his funds while paying themselves handsomely, and is suing them to recover “more than” $25-million. 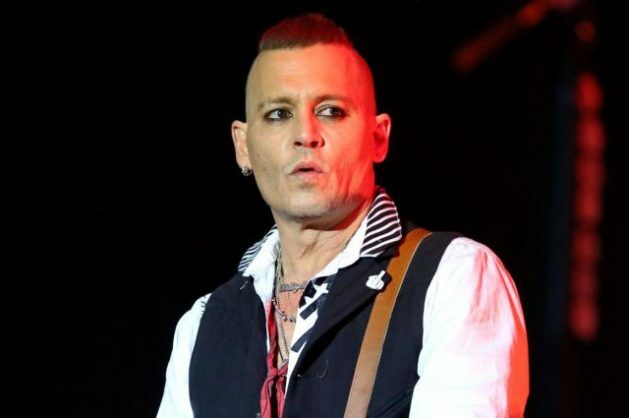 They deny they are responsible and in their counter claim for $4,2-million in unpaid loans, they claim that Depp has a $2-million-a-month compulsory spending disorder. The past 18 months months have been hell for the actor. In addition to his financial woes, his divorce from Amber Heard was completed amid shocking claims of physical abuse. His mother died. He split from his long time lawyer and agent. He is alone and has not denied a claim that he is having difficulty remembering lines. Excessive recreational drug and alcohol use is whispered to be taking its toll. In a bid to restore his name after an anti-Depp article in Hollywood Reporter, the star’s lawyer invited Rolling Stone to London to do the interview. “Come to London, Johnny Depp wants to bare his soul about his empty bank accounts”, the invitation read. Rodrick says his three sessions with Depp earlier this year always began after dark at the mansion the star was renting in London, and – with tobacco, hash and wine flowing – continued until first light. Depp seems oblivious to any personal complicity in his current predicament, reveals Rodrick. His lawyer appears to have persuaded him that they are freedom fighters taking on the Hollywood machine, rather than scavengers squabbling over the scraps of a fortune squandered, Rodrick wrote. He admitted to suffering from acute depression as his personal and financial lives came crashing down simultaneously. He dealt with his depression by touring with his band, Hollywood Vampires, and writing his memoirs. Rodrick says Depp built his life by imitating legends – buying an island like Marlon Brando and being an expert on the barbiturate-like drug, quaaludes, like journalist Hunter S. Thompson. “If his current lifestyle isn’t a perfect copy of Elvis Presley’s last days, it is a decent facsimile,” Rodrick warned. What seemed charming when he was up-and-coming is disturbing at age 54, Rodrick says. Depp arrived in Los Angeles with Tom Petty in the 80s, set on becoming a rocker. But drinking buddy Nicolas Cage persuaded him there was more money to be made in movies. His breakout role was as a high school narc in ’21 Jump Street’ in 1987. His first big purchase was not a Ferrari, he is proud to say, but a house for his mom. He grew up the youngest of four siblings in a home where his father was largely absent. “His mom hurled things, but she was still his mom,” Rodrick writes. From 1986 to 2000, he made 32 movies and acquired a taste for the grandiose life along the way. His extravagances include spending $75-million for 14 residences, over $3-million to shoot his pal Hunter S. Thompson’s ashes into the sky from a canon, 45 luxury cars, 200 artworks, $200 000 a month on private air travel, $1,2-million to keep a doctor on call, $1,8-million annually for round the clock security, a yacht and his wedding to Hearst cost $1-million. According to Depp: “It’s insulting to say,” as his management team have, “that I spent $30 000 a month on wine, because it was more.” But it was not an investment; he drank it. Depp also spent millions supporting friends and his family. Although his family had become a money pit, his managers say Depp refused to pull the trigger. They kept warning him that something had to change or his and his kids’ financial future would be in jeopardy. But Depp repeatedly failed to follow their advice. For example, he had agreed to sell his estate in St. Tropez to repay debt, but reneged after receiving a crying phone call from his daughter begging him not to sell her childhood home. Depp told Rodrick he was kept clueless about his finances until it was too late. To do justice to his movie roles, he couldn’t let the outside world intrude, he said. He therefore wasn’t paying attention, and while he wasn’t paying attention, the people supposedly paying attention robbed him blind. The counter-suing case is due to be heard in August.